The bride and groom requested a simple, modern black and white wedding cake for their Oct. 10 wedding. 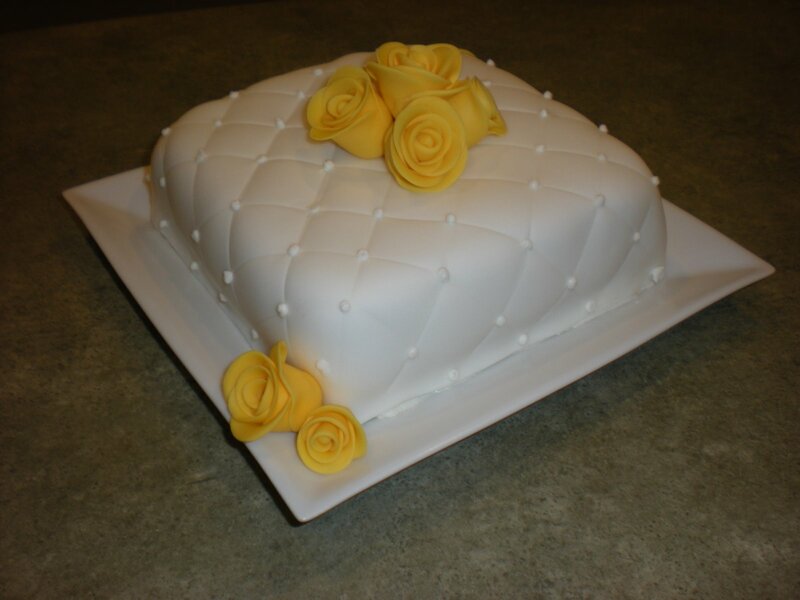 This is a 5-tier display cake covered with white fondant. The stripes are black-colored fondant. The white details are piped in royal icing. 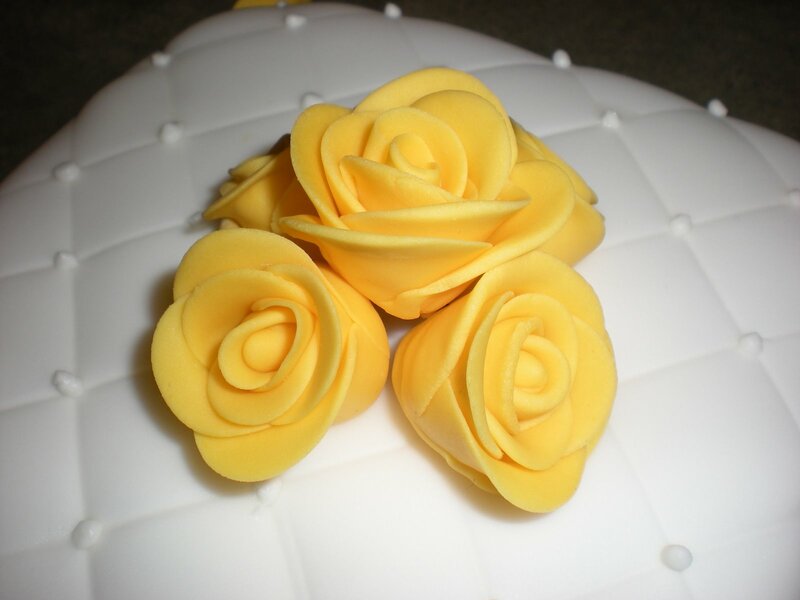 Each of the 26 fondant roses is hand made. 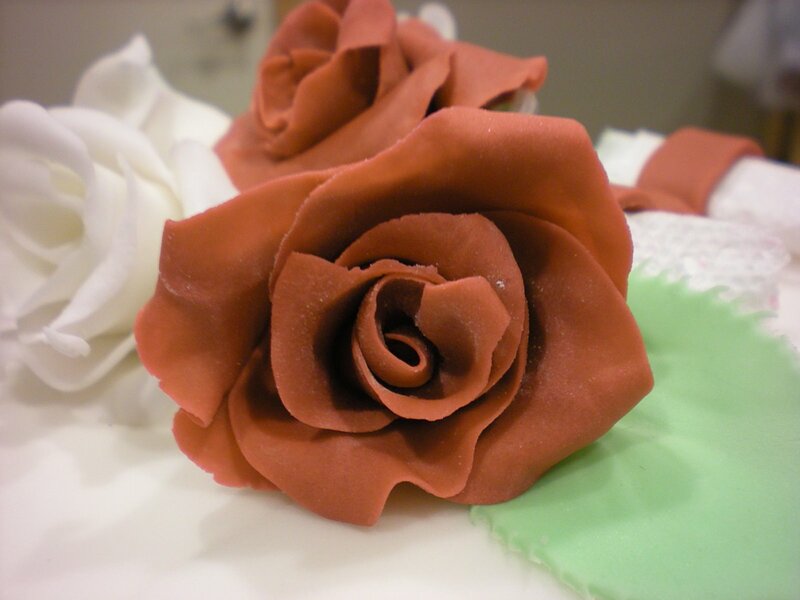 I got a new set of fondant cutters and was able to create these gorgeous roses for my co-worker Tami’s birthday cake. I made a total of 5 roses and grouped them together to look like a small bouquet. 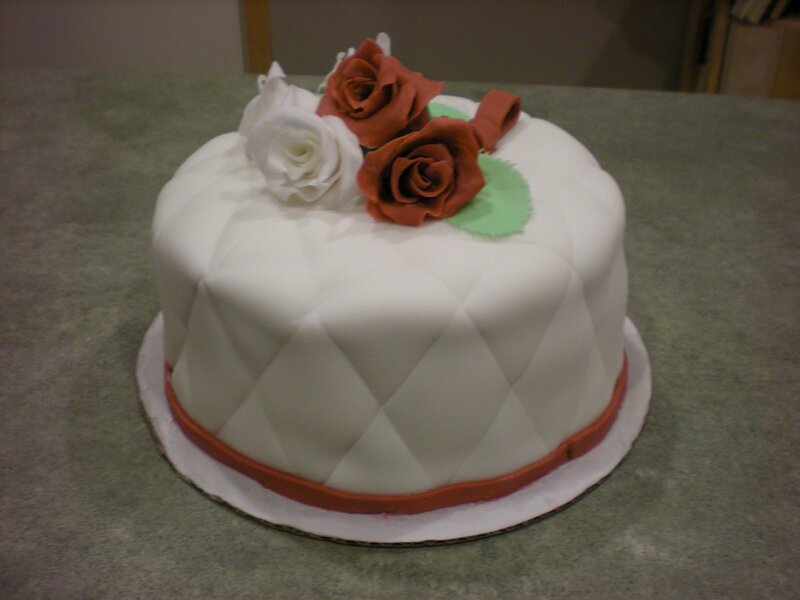 They topped a 3-layer 8-inch round cake with a “quilted” fondant pattern. This 3-layer 8-inch cake serves 20 people. This weekend I used both a new cake recipe and my new square cake pans. I was pretty pleased with the results. The vanilla cake is a recipe that claimed to be very moist, and it was as advertised. This is a 1-tier, 6-inch cake, which has been torted and layered with my favorite: buttercream. I think the quilt-like technique was pretty neat too. Because this cake is only one layer, it would serve 4 to 5 people.